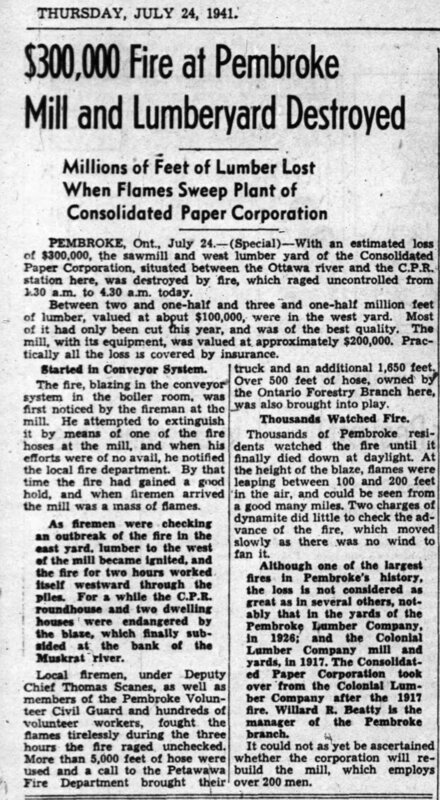 The Consolidated Paper Corporation Ltd. was founded in 1928 by amalgamating several mills in Pembroke including the Colonial Lumber Company and the Edwards Lumber Company. Throughout its history, the Montreal based company owned several mills along the Ottawa River on both the Quebec and Ontario sides. The company produced partially processed fuel wood, box boards, pulp wood, and other lumber products for export to Canadian and international markets. 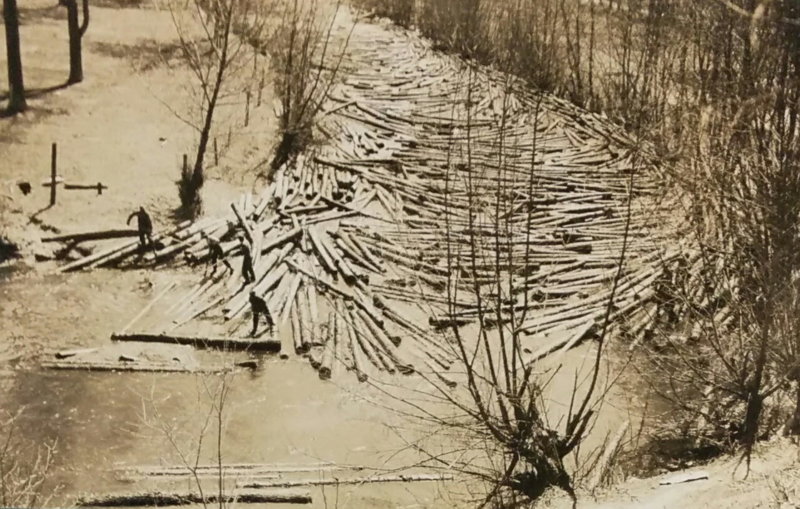 In July 1941, a fire destroyed the Consolidated mill and millions of feet of lumber. Fires were a common occurrence in the lumbering town. Consolidated rebuilt on the waterfront. 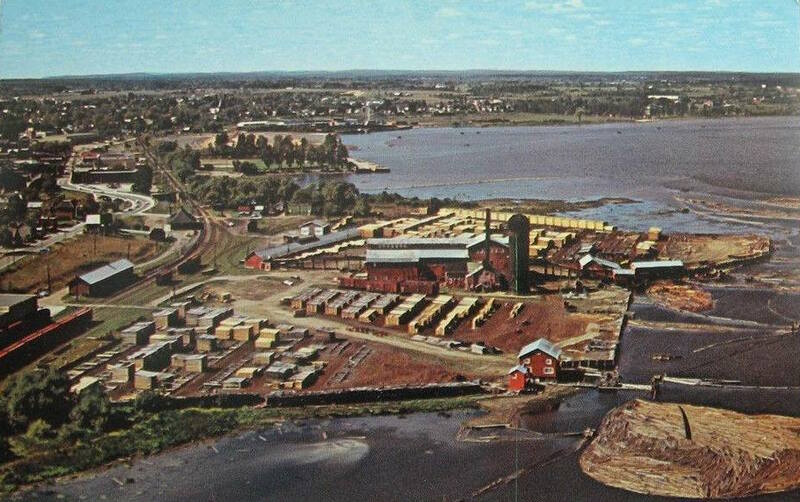 In 1963, Consolidated Paper purchased Gillies Bros. and Co. Ltd. Gillies owned mills along the Ottawa River. Consolidated now owned 3500 square miles of property in Ontario and Quebec. In 1964 a Quebec policy was introduced that would ban the export of unprocessed wood from Quebec to Ontario. All wood would have to be milled in Quebec. Consolidated imported half of its lumber from Quebec. Over 30% of its workforce was also employed in Quebec. In 1967 Consolidated Paper and its Gillies division were amalgamated into Consolidated-Bathurst of Montreal. Consolidated Bathurst now owned several mills along the Ottawa River in Quebec and Ontario. 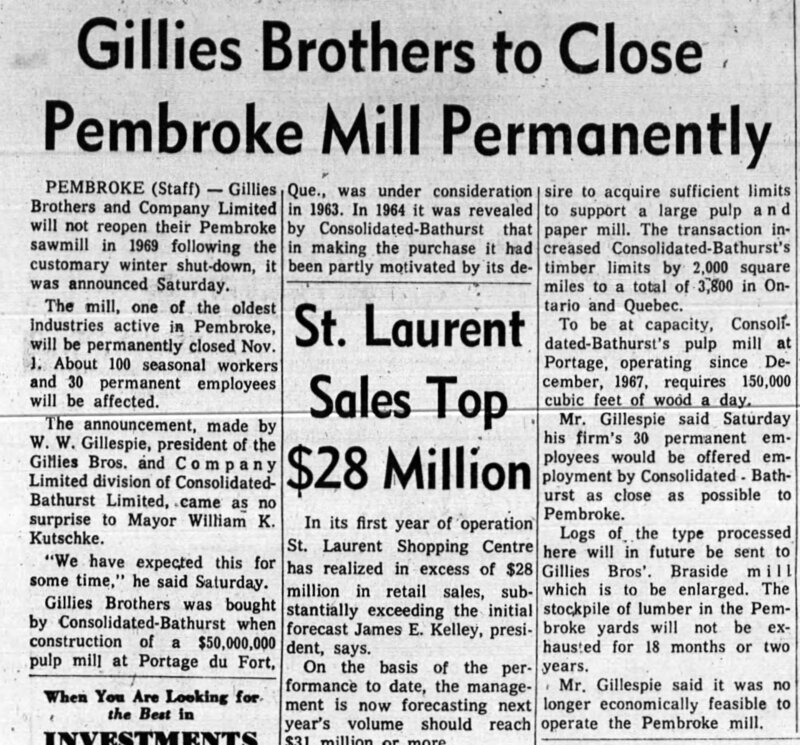 In 1968 Consolidated Bathurst announced that it would close down its Pembroke mill permanently. About 130 seasonal and permanent workers lost their jobs. 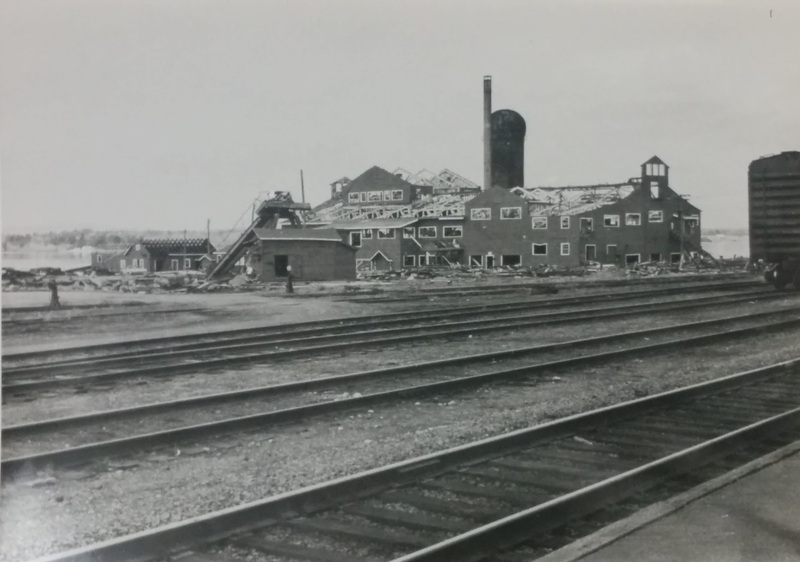 Consolidated continued to operate a mill at Braeside, south-east of Ontario. Located east of Riverside Park, Supples Landing Retirement Home now sits where the Consolidated Paper mill once operated.